The Megabass S Crank was released in ICAST 2015 and is an addition to the current S Crank series that Megabass offers. The 2.0 size joins the 1.2 and 1.5 crankbaits. This new introduction offers anglers a bigger profile crank with more vibration maintaining all the Megabass traits that anglers have come to expect. The S Crank is also part of Megabass’ STW (Support To Win) program. This program is intended to develop equipment specifically for the U.S. National Pro Team. 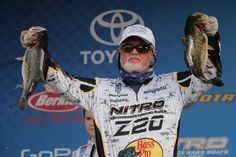 Members of this team include anglers such as Chris Zaldain, Luke Clausen and Edwin Evers. These anglers assist directly with the development and testing of products that come out of the STW program. We interviewed Bassmaster Elite pro, Edwin Evers, at ICAST 2015 and he had a lot of great things to say about the 2.0. You can view the interview below. Right out of the box the S Crank was impressive. Practically identical in shape to the previous 1.2 and 1.5 cranks, the 2.0’s pedigree is obvious. This 2.0 is simply a bigger S Crank that has everything anglers like about the smaller versions. I was really impressed with the overall finish but that didn’t surprise me. At a retail price of $22.99 US, you better get your money’s worth! The S Crank has it all! It’s clear where the S Crank got its design characteristics from. Here you can see the smaller 1.2 S Crank (top) in comparison to the 1.5. The 2.0 builds on these two cranks. The 2.0 is definitely a quality crank bait. 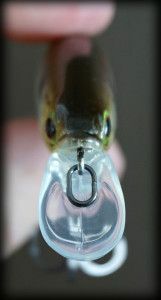 I found that the bait was well put together and the finish to be of the highest quality. During testing on the water, the hard clear coat finish withstood several catches well. I especially like the eyes on the bait. Although this may not have led to more fish, it’s still nice to see a lure with a lot of attention to small details. There are so many positives about this bait that one has to wonder why every angler doesn’t throw them. The design process has taken 2 years with input from the best anglers in the world, so there is no doubting this bait’s abilities and confidence is a pro. This is one thing that I am sure the guys at Megabass have heard time, and time again. The price. At $22.99 US the S Crank is one of the pricier crank baits out there. This puts anglers with limited budgets out of the market. It can sometimes be hard to justify that kind of money on a single lure when I can get two, or even three lures for the same cash. Of course, alternatives won’t have the consistency and quality of the S Crank, but as with all things in life, you can’t have your cake and eat it too. From looking at the color availability I also would have liked a few more clear water color options. I hope that the S Crank 2.0 color palette is expanded a little in the future. 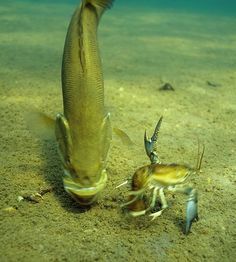 I’d like to see a perch or baby bass option. Currently the S Crank is offered in only 6 colors. The S Crank 2.0 fished pretty much as expected. It had a little more thump and vibration than the 1.5. It was very snag free when we ran it into hard targets but, as with all lures with trebles, it doesn’t deal well with heavy weeds. The S Crank excelled at shallow hard targets and bumped off rockpiles well. This seemed to entice reaction strikes, which is exactly what we were looking for! I fished the S Crank on a small target cranker rod, but the larger, heavier 2.0 could easily be fished on a traditional length crankbait rod. At 1-oz it can easily be launched for long retrievals in order to cover water. Being bigger and heavier, the S Crank 2.0 would probably excel at fishing open flats where it’s predictable dive depth would be an asset. 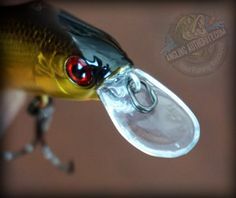 The 2.0’s heavy 1-oz weight would aid in longer casts as well. For target cranking when paralleling shallow banks, I would probably still opt for the smaller 1.2. I think the shallower dive depth of 4-ft on the 1.2 would be best in these situations. To have a 2.0 option that has a familiar feeling is great for running a search pattern. 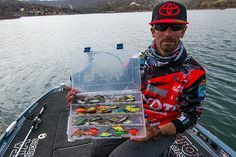 When fishing the S Cranks as with all crankbaits, you’ll want to use flourocarbon and that’s exactly what I went with. I initially used 15-lbs, but it seemed to deaden the action, so I eventually opted for a lighter 12-lb line. 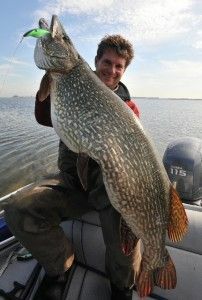 If fishing in waters where there are no northern pike you could probably throw the S Crank on 10-lb, or even 8-lb test. The 2.0 is a fantastic addition to the S Crank family and it really is a great little crank. It performs well and has proven to be consistent during testing. This resulted in an enjoyable, frustration free day on the water. In tournament situations, the S Crank 2.0’s consistency would be an asset as it would allow anglers to focus on fishing and not constantly fighting their bait trying to get it to do what they want.